Girl power. 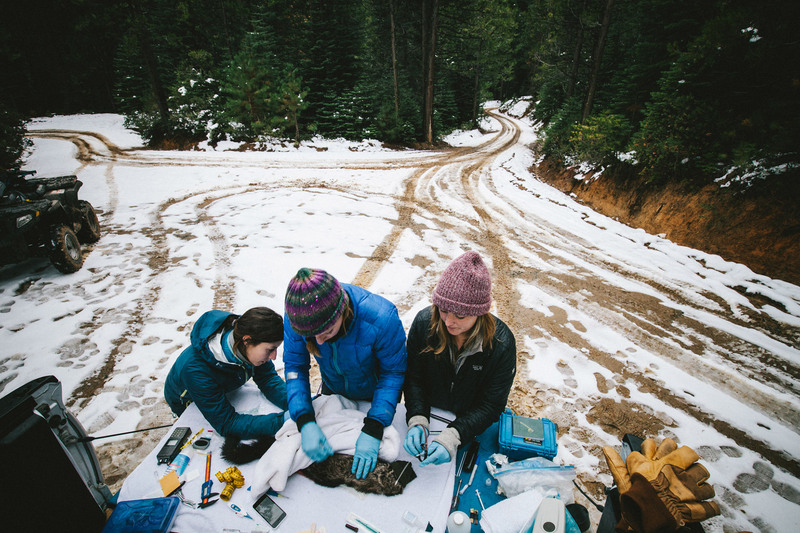 A team of field assistants work quickly to fit a slumbering Pacific fisher with a radio collar. This little critter will then ping back valuable data on its movements throughout the forest. These close relatives to the wolverine were once almost hunted to extinction for their fur. Today impacts from marijuana grows might be the death knell for the species. Studies have shown that fisher populations could only sustain about a 10 percent death increase before sending the species on a precipitous decline. A study that came out this November puts fisher deaths from poisonings associated with marijuana grows at 13 percent.